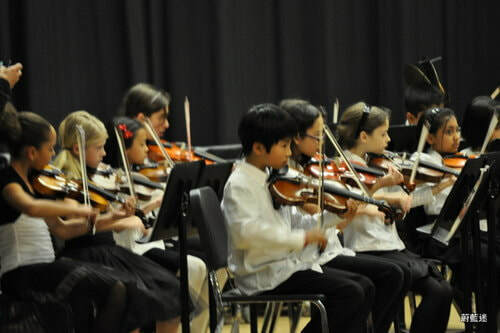 Located in Vancouver Canada, Century Music School is a full-service english music talent school with a diverse range of Western Musical Instruments, Languages and Fine Art classes. Our instructors are the most highly qualified, experienced and educated teachers in the country with immense performing, orchestral and teaching backgrounds. We have certified teachers from the Royal Conservatory of Music, North American Musicians Association, BC School Board, Suzuki Certified Teacher from the United States. Designed for students of all ages and levels with unique teaching methods that encourage and motivate each student's potential and interest. *Private Piano, Violin, Guitar, Ukulele, Voice, Flute, Intro to Clarinet/Saxophone, Theory, Composition, Language and Art classes for all levels and abilities.